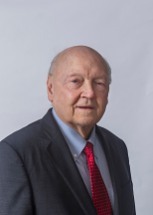 Home > About Our Firm > John T. Johnson Jr.
John T. (Tom) Johnson, Jr., is a highly skilled, experienced, and knowledgeable civil trial lawyer who has over 42 years of jury trial experience. He is passionate about providing ethical, efficient, and effective representation for his clients in his practice areas of Litigation, Personal Injury, and Insurance. While every case presents different scenarios and challenges, Mr. Johnson focuses diligently on each case and the clients he represents, and he provides legal services in a timely and cost-effective manner. Mr. Johnson was one of the first mediators in Knoxville and he has served as a mediator in numerous cases. In addition, Mr. Johnson has been selected to serve as an arbitrator in several cases. Mr. Johnson is highly regarded by his peers and has been selected for inclusion in Best Lawyers in America, a highly regarded peer-review publication, for several years. Mr. Johnson has also been selected for inclusion in Super Lawyers and Mid-South Super Lawyers, which are also prominent peer-review publications. He is consistently listed in City View magazine as one of the top attorneys in Knoxville in several categories. Mr. Johnson is licensed to practice in the state of Tennessee, and he has been admitted to practice in the state courts of Tennessee, the United States District Court for the Eastern District of Tennessee, the United States District Court for the Eastern of Kentucky, and the United States Supreme Court. Mr. Johnson has tried to verdict hundreds of jury trials and has, in some years, been listed by The Tennessee Jury Verdict Reporter as having tried the most jury trials in the state of Tennessee for that year. The Tennessee Jury Verdict Reporter recently reported that for the years between 2005 and 2010, Mr. Johnson tried the second highest number of cases for any lawyer in the state. Mr. Johnson has extensive experience in insurance coverage issues and has actively participated in the drafting of provisions in insurance policies issued by a major insurance company. Mr. Johnson has been a speaker at a number of seminars sponsored by various bar associations and other organizations. He has made presentations to local claims organizations and at statewide meetings of claims managers and claims representatives. On October 29, 2010, Mr. Johnson participated with other well-known attorneys from around the state of Tennessee and other parts of the United States in a mock cross-examination at a seminar sponsored by The Foundation of The American Board of Trial Advocates.